British duo Gold Spectacles have been on our radar for a while, but as we have a bit of a thing against "mystery" bands, we've held off posting until they'd delivered something that truly wowed us. And with the laidback yet layered 'Lately', they've done just that. Download for free via the widget below. Perhaps their most ambitious track to date, while still being a strong pop effort, 'Lately' mixes everything from intricate acoustic guitar lines to brash hip-hop undertones. The female backing vocals offer a softer side to proceedings, ultimately coming together to resemble something falling between fellow mystery fans Jungle and TV On The Radio. 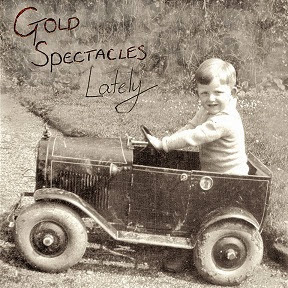 Find more info at goldspectaclesmusic.com.